Were you late to the McLaren P1 GTR booking party? How about giving it another shot by buying this rarely-used example from the US? Oh, and it’s Bruce Canepa’s car. We had covered the delivery of the first McLaren P1 GTR to arrive on US shores back in 2016. Bruce Canepa turned out to be the proud owner of the bespoke hypercar which was part of the track-only model’s limited production run. Now that very example is for sale as Bruce is unloading the 2016 P1 GTR through his own firm – Canepa. With barely 120 miles on the odometer, this one-of-a-kind, personalized P1 GTR is finished in a shade of Canepa Green, which was specially mixed by Bruce and successfully replicated by the team at McLaren Special Operations. Those Papaya Orange highlights pop out from the acres of green, making the overall package rather striking to behold. Interior is finished in Alcantara and feature a passenger seat, complete with racing harnesses so that the driver isn’t only one getting to have some fun on the track. Speaking of track and racing use, Bruce Canepa hasn’t unleashed this McLaren P1 GTR on a track ever. 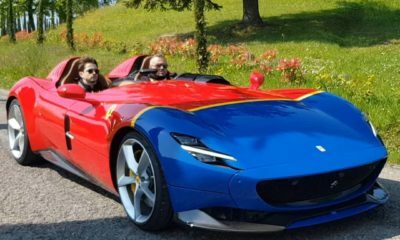 In fact, he treated this hypercar as an investment from the very beginning. Basically, it has never been enjoyed or has fulfilled the purpose for which it was built. What sets the McLaren P1 GTR apart from the standard 903 hp street-legal and relatively tamer P1? Here’s a quick catch-up session. 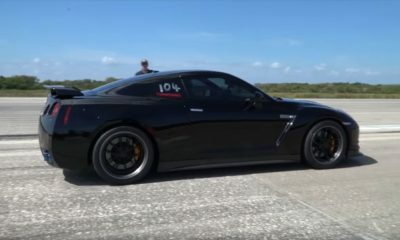 The GTR has 83 more horses coming out of the 3.8-liter twin-turbo V8 engine and electric motor powertrain. And with it being purpose-built for the track, the P1 GTR comes packed with racing tires, better aero, wider track and a sensational soundtrack erupting from a new titanium-alloy exhaust system. It’s lighter too, by 50 kilos. Bruce Canepa hasn’t mentioned how many briefcases one must bring in order to be considered as a serious buyer for the 217 mph cruise missile from Surrey. Word of advice. It’d be wise to start somewhere in the $3 million range.